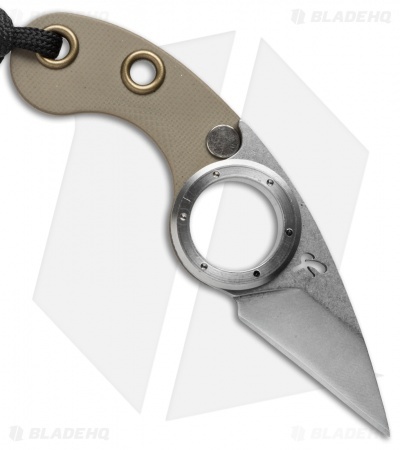 The Mini La Griffe Friction Folder plays off Fred Perrin's fixed blade design, and does so in marvelous fashion. 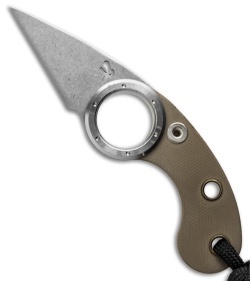 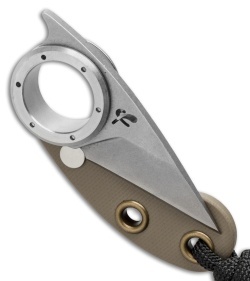 It retains a finger hole at the intersection of blade and handle in the form of the pivot. The blade is chisel ground and its tang extends for opening and, in a bad situation has the capacity to be used as a knuckle. 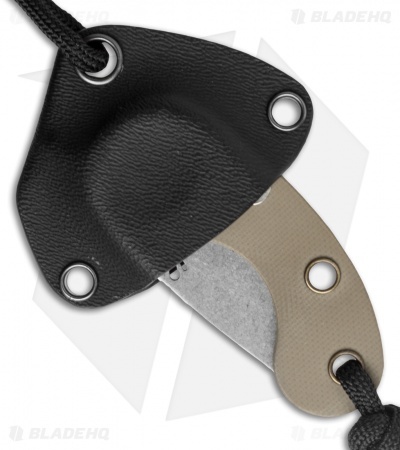 This Mini La Griffe Pliante has a desert tan G-10 handle and is outfitted with a lanyard for quick access from the Kydex sheath and quick-action opening.